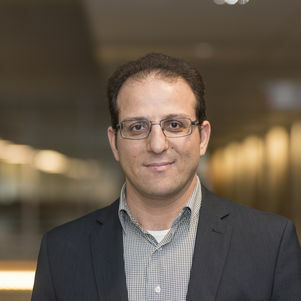 Jafar Rezaei is an associate professor and Head of Section Transport and Logistics. He did his Ph.D. at the faculty of Technology, Policy and Management (TPM), Delft University of Technology (TU Delft). He has a background in Operations Research, and has published in several peer-reviewed journals. He is the Editor-in-Chief of Journal of Supply Chain Management Science. In 2015, he developed the Best Worst Method (BWM). His main research interests are freight transport modeling and analysis, supply chain partnership, supplier selection and segmentation, multi-objective and multi-criteria decision-making. Master Systems Engineering, Policy Analysis & Man. Rezaei, J., Best-worst multi-criteria decision-making method: Some properties and a linear model, Omega, Vol. 64, pp. 126-130. Rezaei, J., 2015. Best-Worst Multi-Criteria Decision-Making Method, Omega, Vol. 53, pp. 49–57. Rezaei, J., 2015. A two-way approach to supply chain partner selection, International Journal of Production Research, Vol. 53, Iss. 16, pp. 4888–4902. Rezaei, J., 2014. Economic order quantity for growing items, International Journal of Production Economics, Vol. 155, pp. 109–113.